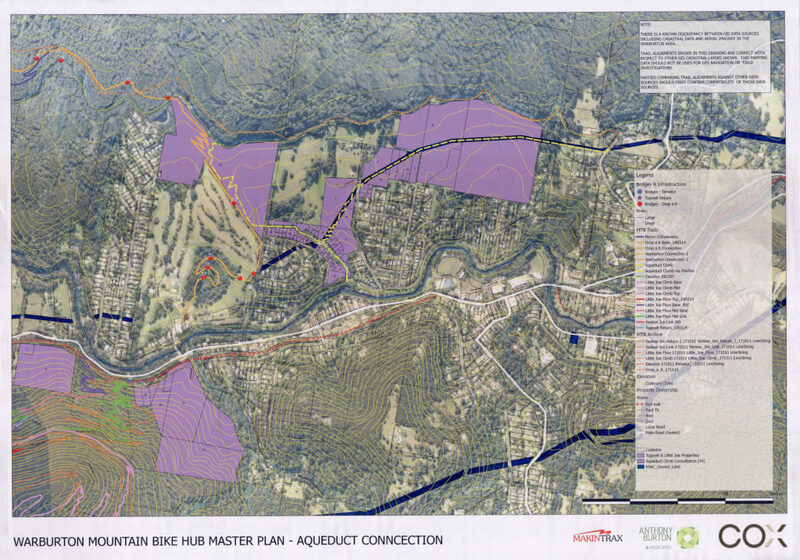 NOTE: This map is not the Master Plan and does not contain the detailed information contained within the previously sourced master plan maps. 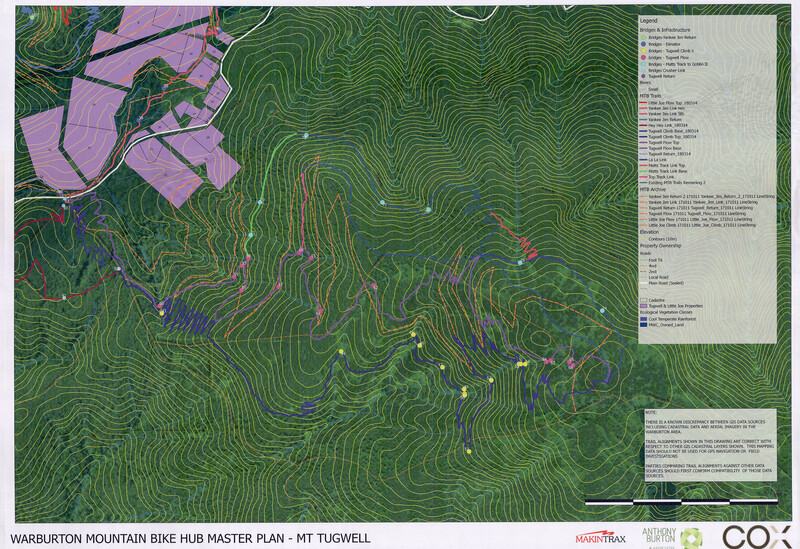 All tracks surrounding Mt Tugwell are conducive with constant shuttling. 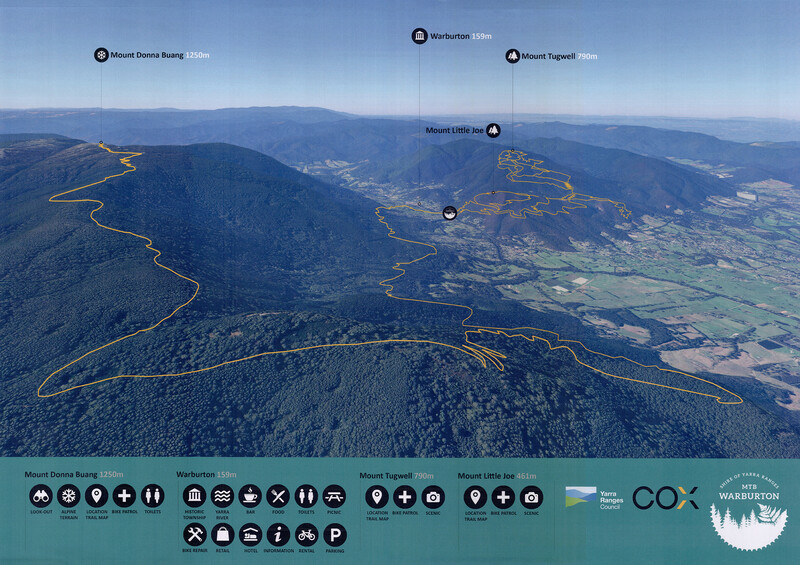 Vehicles can travel from Old Warburton to the top of Mt Tugwell relatively quickly and practically because it is a short distance. 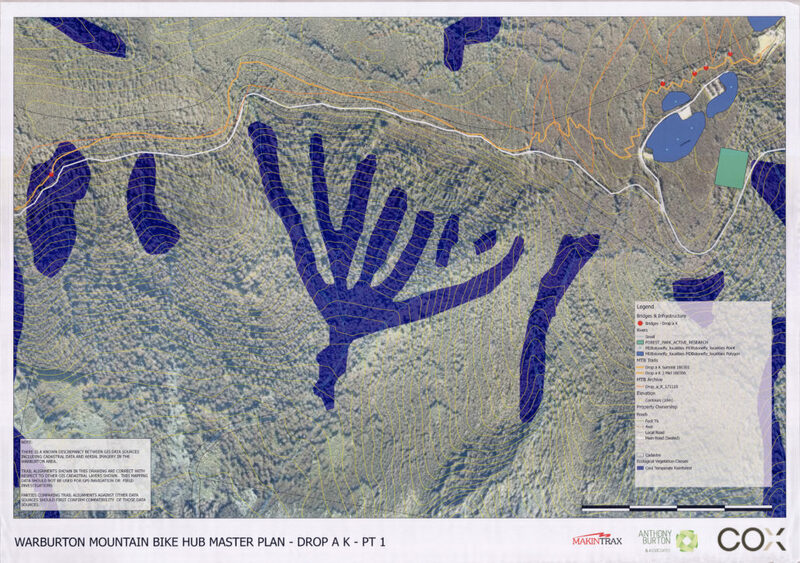 This could explain why the plan does not have extensive tracks through Mt Donna Buanng by comparison. 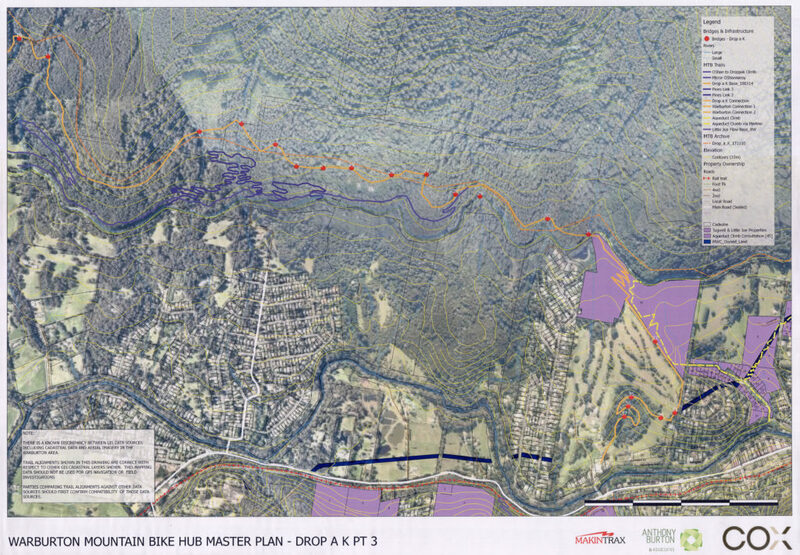 Shuttle services up to Mt Donna Buanng will take much longer, likely cost more, and so, will be less desirable to those seeking the down hill runs. Cross country / all terrain riders may be an exception to this case. Regardless of trail alignments this plan still poses a significant impact to the amenity of Old Warburton residents. 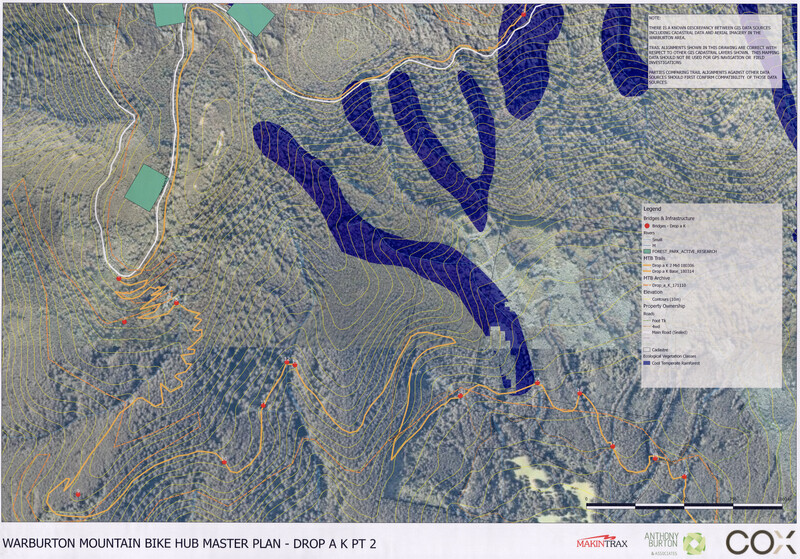 The following Maps detail tracks proposed by the Warburton Mountain Bike Destination Project (AKA Warburton Mountain Bike Hub). 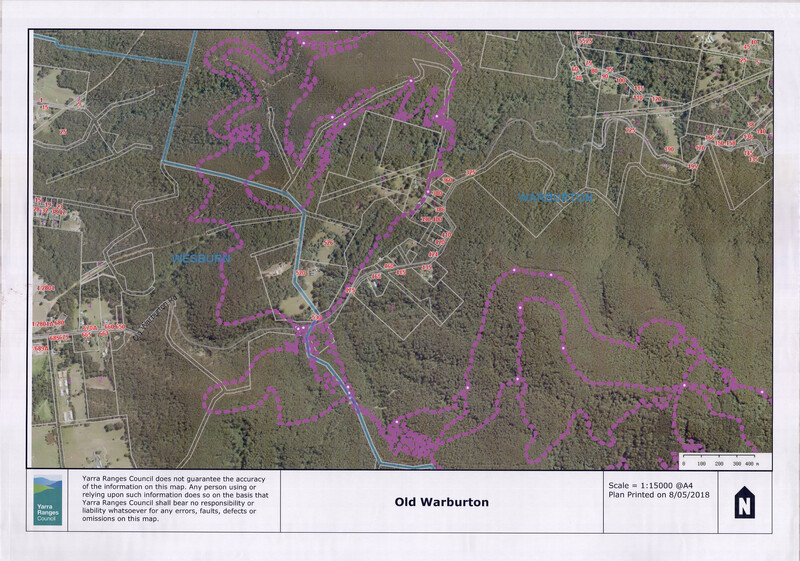 These map were sourced directly from Yarra Ranges Council. 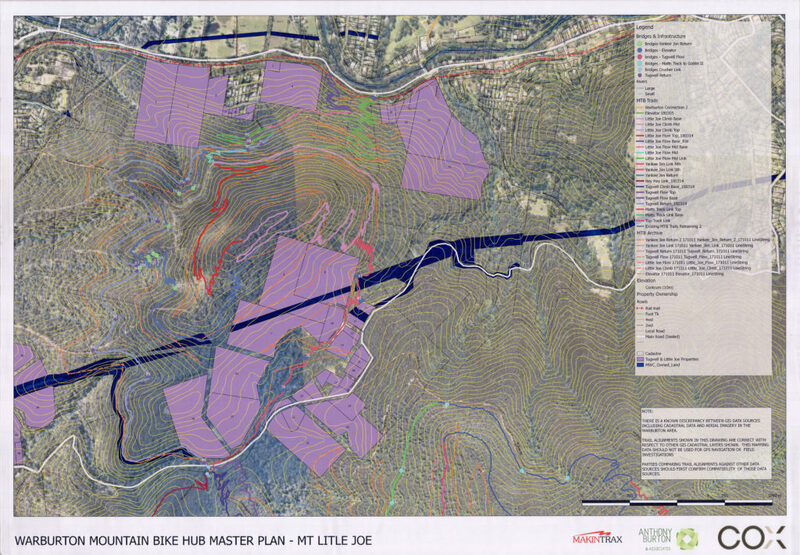 NOTE: There is no date or version information on the track plans. 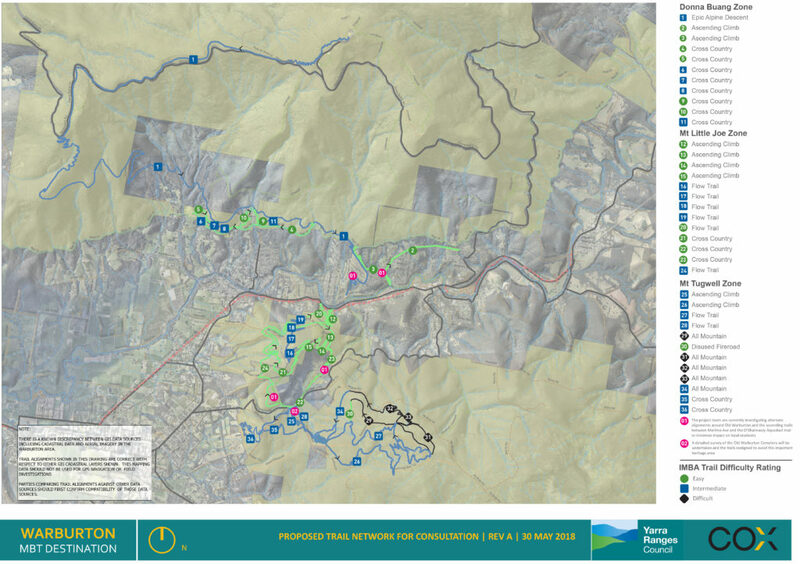 They were provided by Yarra Ranges Council in May 2018.